Port Canaveral is not your average port. It&apos;s not just some place that you take a cruise out of and that&apos;s it. It is a destination within itself. The Cove offers waterfront entertainment where you can enjoy a wide variety of bars, restaurants, charter boats, shops, attractions, and live music. There is no other port that gives you so many options to choose from. The seafood is an absolute must, being that it is a port, and many commercial fishermen are constantly unloading fresh seafood. You can watch as your meal goes directly from the docks to the restaurant kitchen and right onto your plate. Port Canaveral has some of the most dynamic dining scenes on the East Coast, and the fresh seafood plays a big role in that. Fish Tacos, Mahi sandwiches, Tuna Poke, Snow Crab, mussels, oysters, rainbow trout - Port Canaveral has every type of seafood you could dream of. 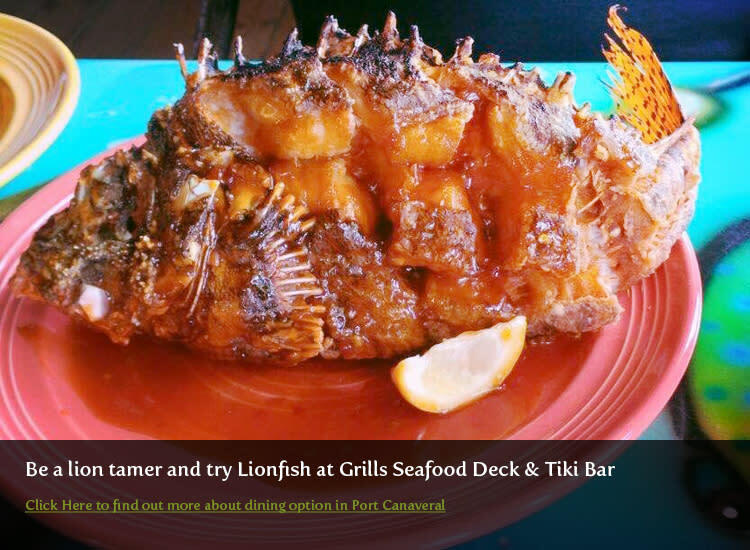 It doesn’t matter if you are a local or a visitor in town for only a few days, once you set foot into one of Port Canaveral’s fine-dining restaurants you will feel as if you are on a vacationing in a tropical paradise. 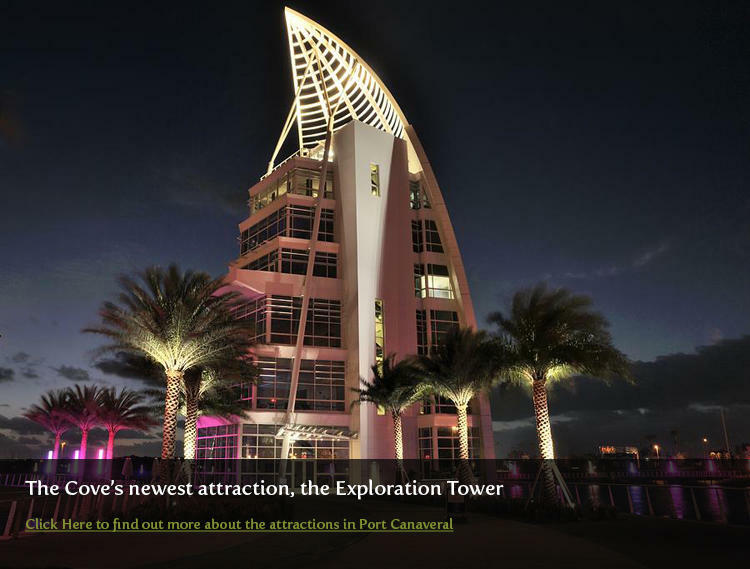 Port Canaveral’s cultural attractions are incomparable to others in the county. Whether it’s the Exploration Tower, Parker Brothers Concepts, Victory Casino Cruises or Wyland Galleries, the port is a trend-setting area with a tropical vibe and captivating history. It doesn’t matter if you’re just visiting town or a lifelong local, the attractions in Port Canaveral offer something for everyone.